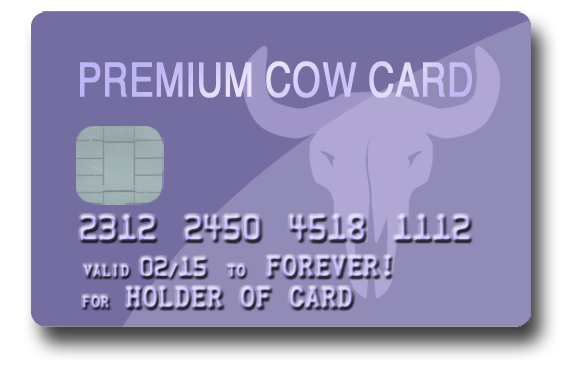 It’s the time of year once more, dear Cowpokes, where we find ourselves wandering aimlessly through our local Giftorium looking for the exactly appropriate gifts for those special people in our lives. My meanderings this Christmas have led me to deduce that the item most wanted in Christmas stockings for 2014 is… a jar. They’re everywhere – in pretty much every homewares store I visited, there was a display featuring jars in one manifestation or another. Yes, somewhere between now and when I last visited an insane asylum,1 the populace has gone jar crazy. But I need to make it clear here – we’re not talking about your standard preserving or jam jar. A jar is just a jar, right – they’re a common utilitarian item and you can pick them up from any ol’ kitchen supply place for tuppence… What makes a jar an even remotely contender for a respectable Christmas present? Well, I’ll tell you. String. Yes, my friends, it appears that some string tied around the jars instantly renders them Giftorium-worthy. 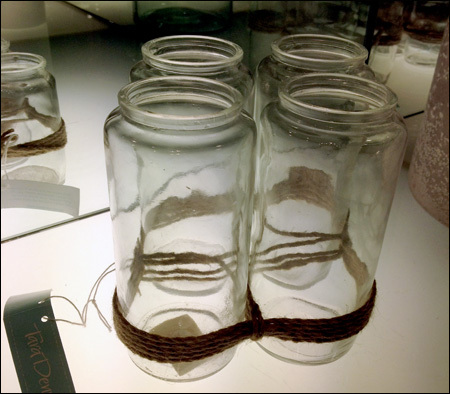 In this example, the string is tied around four jars at the bottom, but some jars featured string at the top! And don’t make the mistake of thinking that you need to put up with common garden variety ‘rustic’ string – why, string comes in all colours of the rainbow. A jar tied with coloured string is surely the gift that your significant other wants to wake up to on Christmas morning! If string is not your thing, then a jar with a handle is the next step. 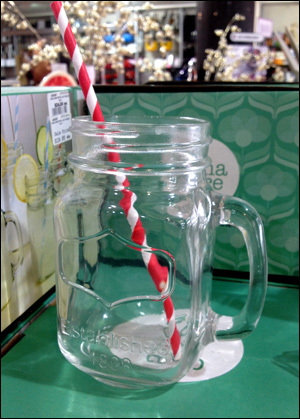 A jar with a handle and a straw shoved in it. Preferably a jaunty red-and-white striped straw, it seems. It’s an effort, I suppose, to conjure whimsical images of sunny summer afternoons under the walnut tree, sipping ma’s home-made lemonade while Chip and Bobby Jo take turns at swooping over the river on the ol’ tyre swing. Of course, there’s something for everyone in the Giftorium! 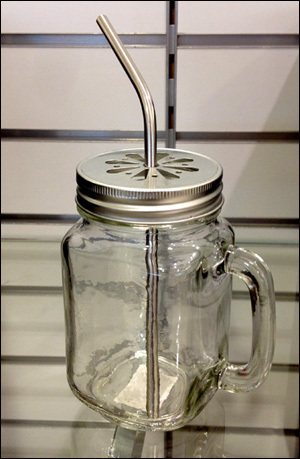 If the down-home image is not your thang, you can change it up with the industrial look – a jar with a handle, a shiny stainless steel straw AND a pattern-punched lid to keep the wasps out. But where do you go when you’ve exhausted the possibilities of a jar with a lid and a handle? Well, I’ll tell you – a jar with a lid and a handle on a stem! 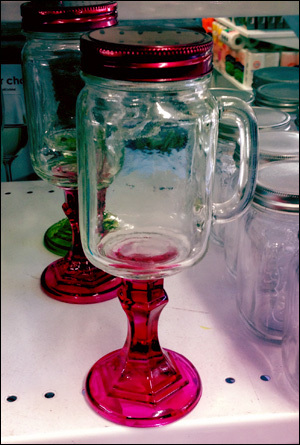 Kind of a wineglass-stein-jar thingo. Call it a Frankenstein if you like, but I mean, seriously, the only thing that could improve on that is the addition of some string. Amiright? The problem is that the concept of the Placebo Effect has become eroded over the decades into a magical-thinking term of its own, specifically, a notion that a placebo invokes some kind of Mysterious Ability Unknown to Science for the human body to heal itself, based on a sort of ‘mind-over-matter’ mechanism that remains to this day entirely unexplained. As someone who understands what the Placebo Effect actually is, this really annoys me. And when I’m annoyed, I dust off the soapbox. Today on TCA, we’re going to look at the exact meaning and intention of running placebo mitigated trials in medicine, and why the explanation for the Placebo Effect is most likely dull and unexciting. Prepare to have your illusions shattered. To help illustrate things, I’m going to give you a very basic example of how a clinical trial involving placebos might work – it’s not the definitive way of conducting a placebo-based experiment, but for the sake of simplicity it covers all the issues that we need to examine. Imagine that you have invented a new drug for the relief of nausea. All your theory says that this drug is the bees knees, but to meet the many requirements of getting a modern pharmaceutical legally to market, you must demonstrate this to the satisfaction of the various bodies that regulate this kind of thing (and, as unbelievable as a lot of people seem to find it, this is actually quite tough). What you are obliged to do is to set up a blind – or double-blind – trial (we’ve talked about blind trials before on the Cow, but click on that link it you want a refresher) which takes into consideration numerous factors that might influence your potential outcome. Understand: you do this in order to rule out as much external influence as possible that might offer alternative explanations for results of your experiment. In other words, you’re trying to demonstrate that your drug, and your drug alone, is responsible for any observed lessening of nausea for your patients. The problem is this: in many areas of medicine, the results of interventions are not totally clear cut. Experience of nausea, for example, is partially subjective, and what you’re trying to do with your experiment is to get an objective overview of how your drug influences a patient’s assessment of nausea. It is very important, therefore, to iron out any irregularities that might be caused by, for example, a subject’s expectation of what a treatment might do. If you have a hundred patients, and you give fifty of those patients a pill and fifty nothing at all, then half your study knows with certainty that they didn’t get the ‘anti-nausea pill’. This might influence what they report in regard to their nausea. Maybe it won’t, but you have to consider the possibility that it will, and set about ruling it out. The obvious thing to do, then, is to split your group into three parts instead of two, give one third the new drug, one third a capsule identical to the one containing the anti-nausea drug – but with no active ingredient – and one third nothing at all. If the drug has any merit, then what you would expect to see here is positive results from the drug, and then equally neutral results from both the the empty pill (the placebo) and those who got nothing at all. Are you with me? Does this sound reasonable? Well that’s exactly what scientists do in blind test trials with placebo controls. Only… pretty much every time this kind of experiment is run, the results inevitably look funny. If the drug is efficacious, the patients who get an active ingredient post a positive assessment of their nausea relief, as you would indeed hope. The patients who got zip (representing what is called the baseline) report a neutral assessment of change in nausea levels. The placebo arm in this kind of experiment, however, almost invariably returns a result of marginal improvement. Better than baseline, but not as good as the active drug. In other words, it seems that the patients who think they might be getting some kind of medicine appear to get an actual physiological benefit from simply popping a pill. How utterly weird is that? Imagine the puzzlement among experimenters the first few times these kinds of results came back! Now we get to the real problem of the misunderstanding of the Placebo Effect. Over the years, this result, which is a very real result and is seen almost without fail in a great number of clinical trials, has been taken to mean that the ‘idea’ of taking a pill (or indulging in some other kind of intervention) can have an actual physiological effect on a patient. To put it another way, it appears that if someone thinks they’re being treated, then somehow they seem to physically benefit from being under that illusion. Only, that’s not exactly what the Placebo Effect is showing us. In science, a placebo trial has a specific and clearly defined purpose: to account for all other variables from the experiment that can’t be explained by the agonist of the experiment itself. This would indeed include any strange psychological influence on physiology should such a thing exist,3 but it need not necessarily be constrained to only this. What most people fail to understand is that the Placebo Effect may also include numerous other factors. Some of these are: patient reporting bias; risk justification; confirmation bias and even just the kind of bias that might be inherent in being involved in a clinical trial in the first place. What do I mean by some of these? Well, let’s say you’re a patient in a study such as the one I suggested above. You are given a pill twice a day for the period of two weeks. You’ve given up some of your time to be on this trial (recording and reporting results and so forth) and you like the doctor who is treating you. This might very well influence what kind of modification to your results you record – only a little bit, perhaps, but ‘only a little bit’ is the scale of the typical observed Placebo Effect.4 Note that you might not necessarily be really feeling any difference in your nausea levels, but you are being ‘kinder’ on reporting them to the nice doctor (you would not even be aware of this – you are being given a pill and, in your mind, hey, it might be the anti-nausea drug… maybe you should be feeling a little better…) In addition to this kind of scenario, people involved in clinical trials behave differently to people in their actual usual lives. There is a tendency, for example, for them to be more aware of their day to day health and to take a little more care than usual with it. This of course can produce real physiological results that can easily colour their experience in the trial. 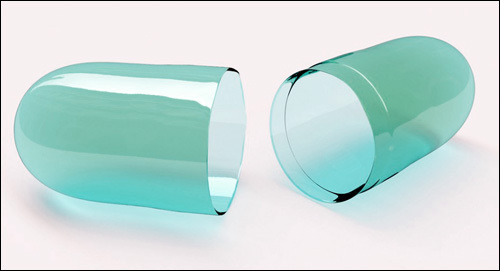 These things are very difficult to iron out of an experiment, and that’s EXACTLY what the Placebo Effect is all about – it is a generic container for the strange and uncatchable inconsistencies that occur when attempting to run an experiment where there are a lot of variables. To boil all this down, it may well be that the Placebo Effect in any given clinical trial – and perhaps in all clinical trials – is down to nothing more than erroneous reporting; not any kind of physiological outcome at all, but just a noise phenomenon in the experiment that produces illusory effects simply because it is an experiment and not reality. 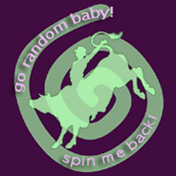 In the actual real world, the thing we think of as the Placebo Effect may not even exist, and it’s impossible to verify such a speculation since trying to do so would necessitate the undertaking of an experiment and thus risk producing a horrible spiral of nausea-inducing recursion. 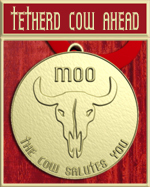 Tetherd Cow Ahead is powered by	WordPress 4.2.23 and delivered to you in 0.773 seconds using 90 queries.